“AMA members cited U.S. government data showing almost 40,000 deaths by gun in 2016, including suicides, and nearly 111,000 gun injuries. Both have been rising in recent years. Gunshot Death. It’s the American Way. There were 43 shootings in the USA on Sunday. One of them was in Orlando. The toll: 67 dead (including 5 children) and 94 injured. President Obama made public remarks Tuesday on the need to curb America’s epidemic of gun violence. “Our right to peaceful assembly — that right was robbed from moviegoers in Aurora, high schoolers in Columbine and from first graders in Newtown. First graders. And from every family who’d never imagined that their loved one would be taken from our lives by a bullet from a gun. On Friday Louisiana Governor Bobby Jindal (R) said that it is too soon after the mass shooting in a Lafayette movie theater to discuss gun control reform. 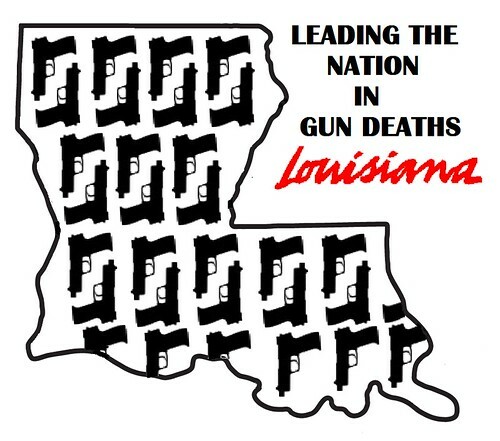 By that logic it will never be a good time to talk about gun safety laws in Louisiana, since the rate of gun deaths in the Pelican State is the highest in the country. Discussion of rational policies to reduce firearms violence will always be preempted as citizens mourn Louisiana’s newest gunshot victims. Come to think of it, that kind of neglect is perfectly consistent with the rest of Governor Jindal’s public health policy. It has been 2 years since the gunshot killings of 20 young school children and seven adults in Newtown Connecticut. It the that time there have been almost 100 more school shootings, about one a week. We don’t know how many gun deaths and injuries have occurred since the gun lobby had Congress forbid the CDC from compiling that public health data, and crowd sourcing can’t keep up with the numbers. Nothing has changed; another Newtown could happen any day. 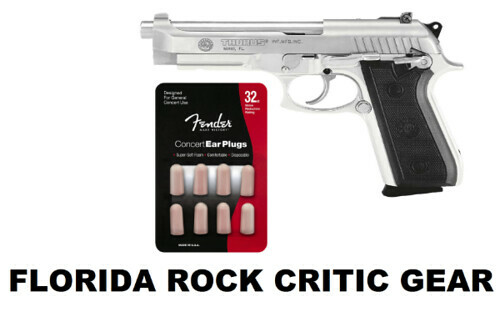 If you play loud music in your car while in the parking lot of a Florida convenience store on a Friday night, expect to be shot dead. It’s not murder. If you stop your car for a few minutes in the parking lot of a Florida convenience store on a Friday night and you judge the music emanating from another car poses a threat to your life, remove the 9 millimeter pistol from your glove compartment and blast away. It’s not murder. If you stop your car for a few minutes in the parking lot of a Florida convenience store on a Friday night and you instigate a confrontation with a group of teenagers in another car, remove the 9 millimeter pistol from your glove compartment and blast away, even as the other car is leaving the scene with the dead body of a young man you have just shot dead lying in the backseat. It’s not murder. It’s Florida justice. It’s the first anniversary of the gun murder of 20 first graders in Newtown Massachusetts, and the day is being commemorated as “Guns Save Lives Day” by three gun groups. 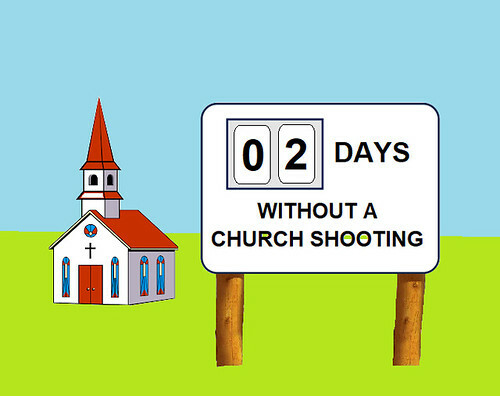 It has also been marked by another school shooting in Colorado. 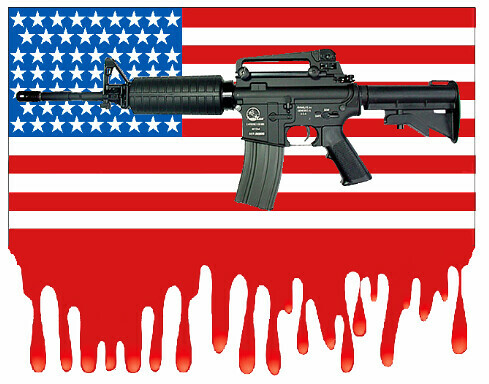 There is a school shooting every two weeks in this country.